If you're a regular reader, you'll know that I have an obsession with personalised items. You may remember that I reviewed a story book from itsyourstory at Father's Day, you can read that here. Now, they have sent us a rather fabulous personalised water bottle! You're bound to find something that your child will like! We received a white bottle but you can also choose silver if you wish. All you need to do is supply your childs name and a front facing photograph. I'm so pleased with mine! 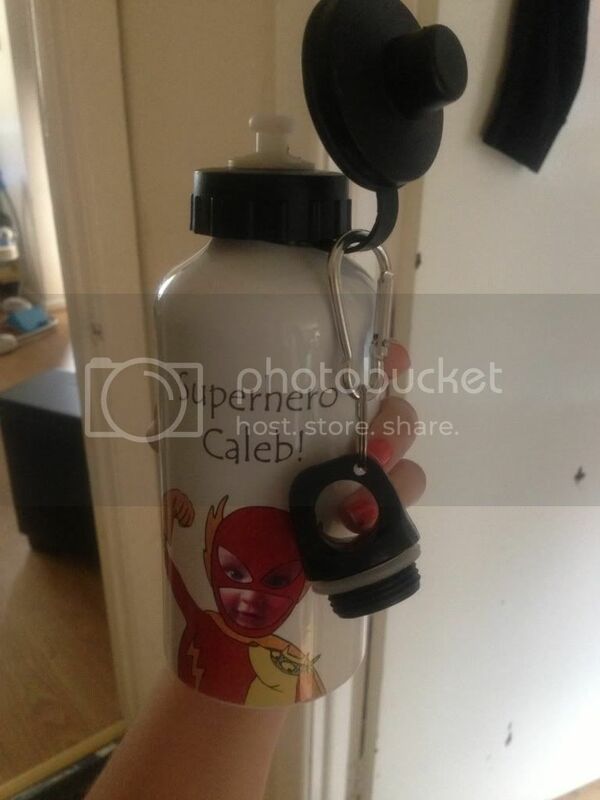 It comes with a plastic flip top lid AND a screw top lid with fob attachment so it's easy to carry around. I've been clipping it to the side of the pram. Although C is only 12 months old, he is able to drink from it (with my help holding it though)! It's such great quality (made from hard-wearing aluminium) and is scratch and chip resistant so I know it will last him a very long time so he'll probably end up bringing it to school! I have found that the aluminium will keep drinks cold for a good amount of time. These would make a great personalised and unique gift for a child of any age. At a price of £14.00 for a 500ml bottle, I would definitely recommend these. You're also assured that your child won't be accidentally lifting someone else's drinks bottle. 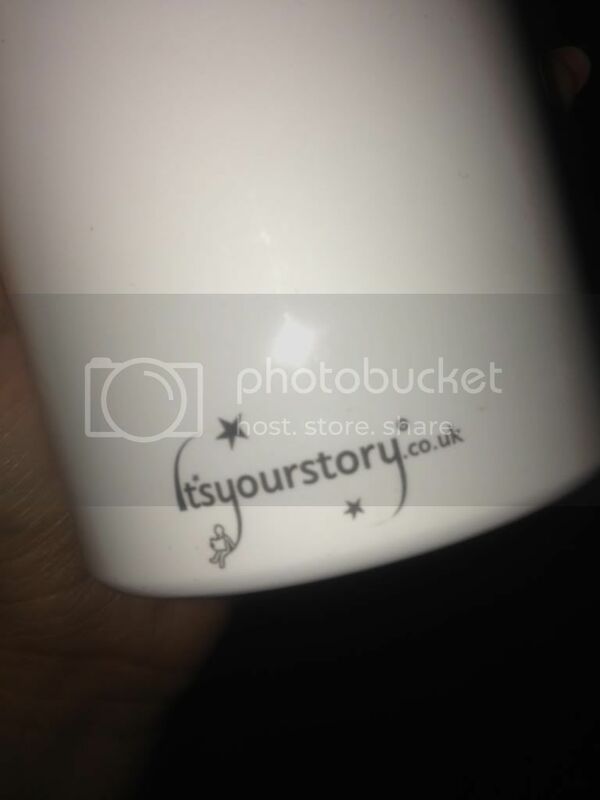 itsyourstory also sell matching mugs! Awesome! Might have to get my partner one! 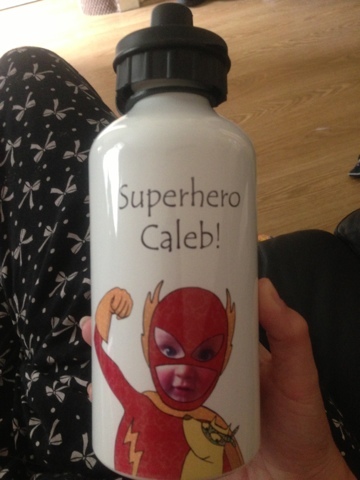 1 comment on "itsyourstory Personalised Water Bottle Review"
I reviewed one for my daughter too! They are fabtastic!